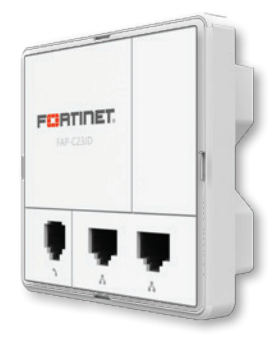 The FortiAP-C series are entry-level cloud-managed Access Points offering Zero-Touch provisioning to support enterprises with remote sites requiring basic wireless LAN connectivity. 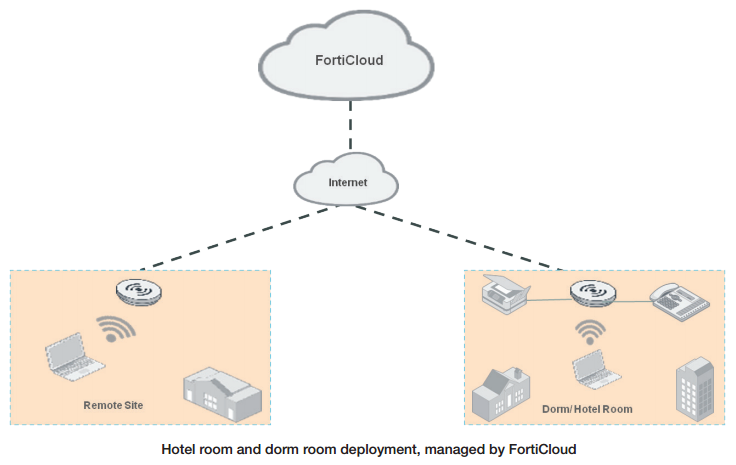 The FortiAP-C series are managed through the FREE FortiCloud provisioning and management portal, eliminating the CAPEX and complexity of having to deploy onsite WLAN controllers and management servers. No wireless controller required, reducing upfront CAPEX and providing the convenience of cloud management. Zero-touch deployments, with no requirement for onsite IT staff. No recurring per AP licenses for full-featured cloud-management nor hidden costs. The FAP-C23JD is a cost-effective in-room high-speed WiFi service over existing in-room telephone lines access point, suitable for hotel and dorm rooms. This access point can be installed in minutes, right over the existing wall plate. 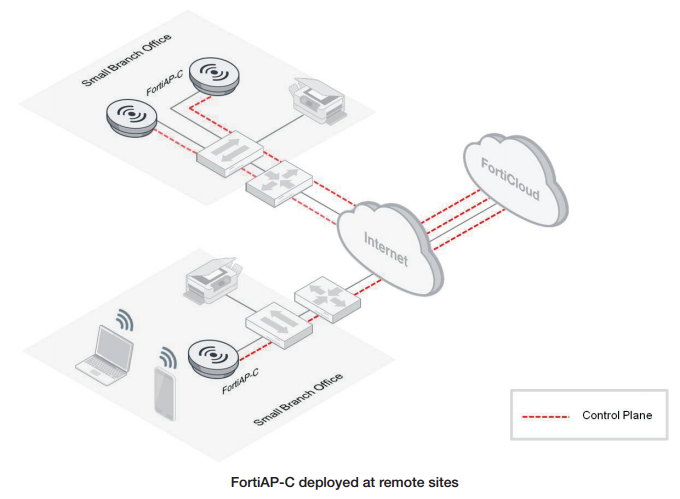 Download the Fortinet FortiAP C Series Datasheet (PDF).